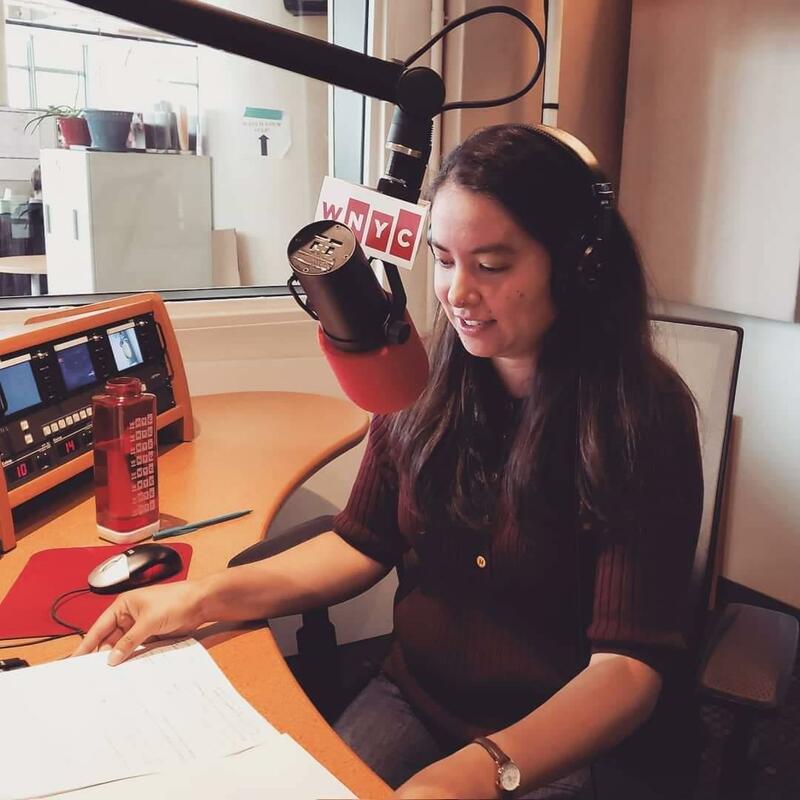 Clarisa Diaz is the interaction and graphic designer for WNYC's Data News & Journalism team. She also draws and writes for Gothamist. She reports on issues related to design and environmental science. She was awarded a journalism fellowship at the Woods Hole Oceanographic Institution in 2018. Her design work has been recognized by the Kantar Information is Beautiful Awards. In 2017, she was on the team that created the Harlem Heat project, which won a national Edward R. Murrow Award for Excellence in Innovation. You can see more of her work at www.clarisadiaz.com. Clarisa has taught design courses for the Integrated Digital Media program at NYU, the Graduate School of Journalism at Columbia University, and at Parsons where she received her master’s degree. She’s a former Fulbright Scholar in architecture and urban design, which set her living abroad for several years. Back in NYC, you’ll find her in her favorite borough, Queens. They fled persecution in Honduras. Despite identical circumstances, they were separated at the Texas border, and the daughter was deported. Scientists have launched a new project to explore the effects of climate change by looking at a little known part of the ocean. By one count, New Jersey's county jails have the highest rate of deaths in custody of the 30 largest systems in the nation. Upstate Republican candidates for Congress are taking advantage of a 2014 Supreme Court decision that 'supercharged' joint fundraising committees. Democratic rising stars like Alexandria Ocasio-Cortez and Andrew Gillum have attracted thousands of new, idealistic voters to the polls. Now Cynthia Nixon is trying to join their ranks. On April 27, 2016, police arrested 120 people in the northeast Bronx in the largest gang takedown in New York City history. We've been following the case ever since. The administration is trying to make the immigration courts more efficient with quotas for judges. But New York's wouldn't meet the mark. The amount of ICE money sent to Bergen, Essex and Hudson Counties increased 46 percent since 2015, and now totals more than $150 million. Many New Yorkers could be living with a legacy of soil contamination and not even know it. Democrat Shelley Mayor won a key State Senate race in Westchester, but the majority remains in favor of the Republicans. Here are the complete results from Tuesday's elections. Legislative leaders in Albany prefer to talk about bail reform after the budget deadline of April 1. Here's what's in the governor's proposal and why it's controversial. Andre and Lisette are married Congolese refugees. He made it to America. She's stuck in a refugee camp. Here's how changes to U.S. policy are keeping them apart. A workshop in Midland Beach prompts residents to think of creative ways to support one another. WNYC reporters on questions that have arisen about Seyfullo Saipov's use of surveillance and how bicycle lane safety measures may have prevented the deaths. Local communities are designing new responses to prepare for extreme weather. With little oversight or regulation, the NYPD and the medical examiner's office have been quietly amassing genetic material from thousands of New Yorkers for years.